Industrial Clutch Parts Ltd. supply a complete range of Goizper Hydraulic Brakes. Available and stocked in the UK for quick delivery. Goizper 6.42 & 6.42B Series are Hydraulically actuated, manufactured to brake when no oil pressure is present, due to the pressure being removed naturally or by default. Providing the utmost safety for your application.  Industrial Clutch Parts Ltd. supply a complete range of Goizper 6.42 & 6.42B Series Hydraulic Brakes, available and stocked in the UK for quick delivery times. With torques ranging from 415 - 8625 Nm, the 6.42 & 6.42B Hydraulic Brake is available in a number of sizes and used throughout different industries for an array of applications. 6.42 & 6.42B are hydraulic brakes also known as negative brakes. Best suited for applications such as - hydraulic drive motors of excavator wheels, cranes, winches, agricultural tractors, machine tools and servo-presses, and all kind of hydraulically driven machines. Goizper Hydraulic Brake Series 6.42 & 6.42B have been designed to brake if there is no oil pressure, either from the pressure being removed naturally or by default. The negative or safety brakes are fed through the brakes fixed part, resulting in no revolving connector being required to feed it.